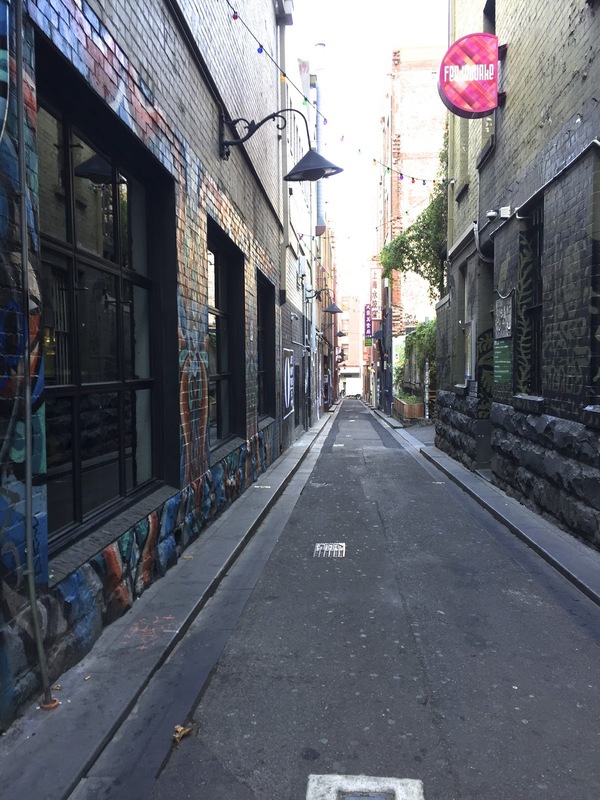 Like the numerous blood vessels, Melbourne laneways keep the city’s vibes alive with unpredictable surprises and excitements. They are the veins and arteries scattered around the Hoddle Grid, connecting one street to another gallantly while offering the adventurous pedestrians with a taste of street art culture, confusing graffiti, hidden cafes, jazz bars of fancy character, and delightful eateries. Some are constantly exuberating with aroma of coffee, gourmet outlets, and vibrant music. Some are boring and dodgy, with a hint of strong urine smell and suspicious darkness. Some are bright, orderly, and frequently jam-packed with tourists from near and afar. Some are narrow, eerily quiet, and deserted by the locals. They are the secretive gems and neglected routes pending to be discovered by those who dare to wander off the Melbourne main streets for some private explorative tours. Tattersalls Lane is one of those alleyways that might make you frown and hesitate for a moment, before its mysterious atmosphere draws you gently into its confines of brick buildings with kaleidoscope of colours. Scrawled with graffiti and adorned with urban street arts, this very unassuming lane connects China Town of Little Bourke Street at the south and the relatively lively Lonsdale Street at the north. Unnaturally silent during daytime, you would need to keep stepping aside to give way to industrial vans maneuvering challengingly between the walls, getting their usual unloading activities done. Closer to its northern end, the lane branches out into a small space littered with large commercial garbage bins, a graffiti covered bench and numerous restaurant ventilators. 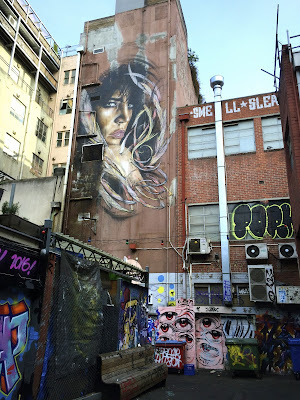 It is on this sticky and sordid-looking Stevenson Lane, tucked away at its concealed location, where you can find heart-throbbing paintings that will make you marvel and wonder if you have stepped foot into a different world of Narnia. It is an enchanting place, in its odd little way. Like a magic trick, the quiet lane is conjured into a lively food Mecca when the night falls. The old school and the trendy, the ordinary and the superb, Western and Oriental - Tattersalls Lane has them all. This is the lane where you can enjoy a feast of marinated Tandoori chicken and authentic Shanghai-style steamed pork dumplings, take a sip of beer at a funky open-air bar, and have a taste of some impressive smoked Polish sausages or Brooklyn meatballs at a classy and intimate venue. The lane is a love of serious foodies, modern artists, wild partygoers, and random wanderers.